Director of Education, DI, Managing Editor, J.E.S. Leonard is a Professor of Catholic Thought and Interreligious Dialogue in the Religion Department of Temple University, where he has taught since 1966. At Temple, and as a visiting professor at universities around the world – including Graz, Austria; Tübingen, Germany; Fudan University, Shanghai; and the University of Malaya, Kuala Lumpur – he has mentored a generation of U.S. and international scholars in the work of interreligious dialogue. He has a Licentiate in Sacred Theology from the University of Tübingen and received his Ph.D. in History from the University of Wisconsin; he also holds honorary doctorates from St. Norbert’s College and LaSalle University. 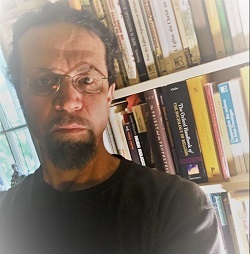 Leonard has published/edited more than 200 articles and 75 books, including: Jewish‑Christian‑Muslim Dialogue (1978); Religious Liberty and Human Rights (1986); After the Absolute: The Dialogical Future of Religious Reflection (1990); A Bridge to Buddhist-Christian Dialogue (1990); Muslims in Dialogue: The Evolution of a Dialogue over a Generation (1992); Jesus Was a Feminist (2007). Sergio Mazza serves as the Executive director of the Dialogue Institute. He is also the CEO of SurgInsite, Inc. a developer and manager of outpatient surgical facilities. Mr. Mazza had been on the board the Dialogue Institute since 1999, and is on the advisory board of the Martin Springer Institute at NAU, and the company Village Industrial Power. Until December of 2014, he was Chairman and CEO of American Surgical Centers, a developer and manager of outpatient surgical facilities. Before purchasing ASC, Inc. he founded SenSound, LLC, a privately held software company that developed and marketed noise diagnostic and quality control software and served as its CEO. 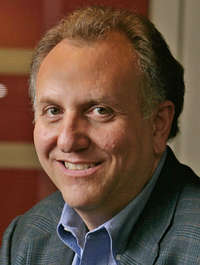 From 1993 to 1999 he served as President and CEO of the American National Standards Institute (ANSI) and prior to that he had an extensive career in the Information technology Industry which included the position of President of Memorex USA, a $300 million mainframe peripherals sales and service organization, and later Memorex Computer Supplies, a $200 million autonomous division of Memorex Telex that manufactured and sold magnetic media and other supplies around the world. He later became a founder of and the managing partner of an Italian software company ATD Srl. Mr. Mazza has taught International Management, and Business Ethics at the W. A. Franke College of Business at Northern Arizona University. He served on the Federal Reserve Bank of Chicago Advisory Council on Agriculture, Small Business and Labor. He is a past chairman of the board of the Ecumenical Theological Seminary in Detroit, MI, has been a board member of Hartford Seminary in Hartford, CT, and was on the board of St. LukesLifeworks, a “wrap around” social service agency for people who are homeless and people with special needs in Stamford, CT.
Mr. Mazza has lived in seven different countries, worked in five of those, traveled to over 40 countries and speaks four languages. He has a BS in Economics from the Wharton School of the University of Pennsylvania and an MA in Religion from Hartford Seminary. Rebecca Mays began as the DI's Executive Director in 2012 and then transitioned in 2017 to a customized role as Director of Education, focusing more specifically on program development while also working to complete her Ph.D dissertation from Temple’s Department of Religion. Rebecca brings professional publishing expertise and strong teaching experience as a Quaker educator to her role. She has taught internationally and served on the Christian and Interfaith committee of the Friends General Conference, and has represented Quaker interest in interfaith work at the 1998 Assembly of the World Council of Churches. She presently serves as a representative on the administrative group of the Philadelphia Religious Leaders’ Council. Prior to coming to Temple in 2008, Rebecca served as the director of a Master's program in English and Publishing at Rosemont College. She holds a B.A. in English from Earlham College and an M.A. in Folklore and Folklife from the University of Pennsylvania. She completed her M.A. in Religious Studies at Temple as a graduate fellow and intern at the DI prior to joining the staff. Andi Laudisio is the Administrative and Development Coordinator at the Dialogue Institute. Andi is working to expand the Dialogue Institute’s presence locally and abroad. As the Development Coordinator, she is a key organizer in the planning, budgeting, and project management of grants, contracts, conferences and fee for service training. She began her work with the Dialogue Institute in 2016 as a Program Associate for the Study of the US Institute (SUSI) student and scholars programs on Democracy and Religious Pluralism. Before coming to the Dialogue Institute, Andi worked in retail management for over a decade, and was a Starbucks store manager for a number of years. Andi also taught ESL to refugees for four years in Buffalo and Philadelphia and helped prepare refugees for their United States Citizenship exam. Andi is currently a PhD student in the Religion Department at Temple University. Her dissertation topic is on the 2005 Iraqi Constitution and its resulting sectarian violence. She is working to identify how a Democratic intervention transformed the religious landscape of a primarily Islamic nation and if such an influence has the possibility to lead to religious pluralism within Iraq despite its current sectarian divide. Andi earned her BA in Cultural Anthropology and Linguistics at SUNY University at Buffalo. She attended Arizona State University for her MA in Religious Studies with a focus on the Bremer Period of Iraq. Educated at universities on four continents, and having lived ten years of his adult life in Zaire and Haiti, Professor Rey specializes in the anthropology and history of African and African diasporic religions. His current research projects focus on violence and religion in Central African and Haitian history. Through it all, he maintains a keen interest in the work and influence of French sociologist Pierre Bourdieu. Dr. Rey is the 2008 recipient of the Eleanor Hofkin Award for Teaching Excellence in the College of Liberal Arts and a 2011 recipient of the Provost’s Award for Innovative Teaching in General Education. Natasha is an Enrolled Agent (EA) with a career that is quite diverse as she has been able to practicein two areas of accounting that are dear to her heart, Tax and Royalty Accounting. Her tax path began as an accountant with a New York City tax services firm where she sharpened her skills in individual and small business taxation. After a few years, she made a switch to the music industry and worked for Arista Records and Sony Music Entertainment where she focused on royalty accounting. In later years she worked in the Tax service line in Philadelphia, PA for global accounting firm, KPMG, LLP. In 2003, she founded Financial Bee, LLC and has been helping her clients achieve their tax compliance goals ever since. Natasha holds a BBA in Accounting from Pace University and a Graduate Certificate in Taxation from Widener University. She is also a member of the National Association of Enrolled Agents, Pennsylvania Institute of Certified Public Accountants and ALPFA. Sandy Mayer is responsible for business development for the Dialogue Institute. She also manages operations for iPub Global Connection, the publishing company producing paperback and E-books for Leonard Swidler PhD and other thinkers who advance creative and critically essential ideas for our world’s future. She was the founder of several businesses including InTouch Software and Berkeley Education and Training Centers, a Pennsylvania privately-licensed school. She served as Director of Training and President for Berkeley and authored training programs for corporations, state government, and trade associations. Jordan Iezzi is a graduate of Temple University’s Fox School of Business with a B.B.A. in Economics. He first started working with the Dialogue Institute in the summer of 2018. As a contractor he primarily manages the web presence of the organization. Dr. Paul Mojzes is professor emeritus of religious studies at Rosemont College, where he was also Provost and Academic Dean and Distinguished Visiting Professor of Holocaust and Genocide Studies at Richard Stockton College of New Jersey. A native of Yugoslavia, he came to the United States in 1957. He is an ordained United Methodist minister. He has been with the Journal of Ecumenical Studies since the late 1960s, and is also founder and editor of Occasional Papers on Religion in Eastern Europe. He is the author of six books and editor of sixteen books, and has written more than 100 articles and book chapters. Among his recent books are Yugoslavian Inferno: Ethnoreligious Warfare in the Balkans and Religious Liberty in Eastern Europe and the USSR. He edited Religion and War in Bosnia, and with Leonard Swidler co-authored The Study of Religion in an Age of Global Dialogue and co-edited Interreligious Dialogue toward Reconciliation in Macedonia and Bosnia. He considers his most recent book, Balkan Genocides: Holocaust and Ethnic Cleansing in the Twentieth Century, as his most important work. Professor Mojzes is an organizer and participant in numerous interreligious dialogues, including many in the Republic of Macedonia, and has lectured widely in the United States and many other countries. Jessica is a Ph.D candidate in the Temple University Department of Religion, having completed her M.A. in Religious Studies at Temple in 2010, specializing in the philosophy of religion and interreligious dialogue. She served as a graduate intern at the DI last year (2016-2017), as a field researcher in the spring of 2012, and as a program associate for the DI's Study of the U.S. Institute in the summer of 2015. Her work at the DI has been made possible by the generosity of the Schlecht Family Foundation. She is currently teaching at Rowan University and for the past few years before that served as an adjunct faculty member at Macomb Community College in Michigan, teaching comparative religions. Click here to read more about Jessica.